It sure was fun yesterday to be recognized again at the Sanibel & Captiva Islands Association of Realtors® September membership meeting for my “big” closing on Monday. At nearly $8.5M, “Banyan Beach” it is the record year-to-date sale on Sanibel and Captiva. The team and I are very thankful for it, as well as our other closings Monday and today. After posting the new sales of two condo listings last Friday, it was a wonderful surprise to also find the paperwork for another terrific condo listing in my email on Friday night. It’s the top-floor west-corner unit at Island Beach Club, so the views of the gulf and the beach are spectacular. Even though much of the complex, including this unit, is not fully accessible this month because the association is doing their annual exterior repair work, this condo already has had a showing of the rooms that can be seen and a couple of Realtor® viewings. Luckily the photos that we borrowed from their rental organization, Select Vacation Properties, show it in total. Big thank-you to their employee, Patience, for sharing! If you want to see this one-of-a-kind income-producing condo, here are her photos. Below are a few other news items followed by the action posted in the Sanibel & Captiva Islands MLS since last Friday. Sometimes island buyers and sellers are surprised when we tell them how high the percentage of cash buyers is on the island. Here is an article posted yesterday in “Daily Real Estate News”, sourced to “24/7 Wall Street. Looks like the islands are not the only place in Florida where cash sales prevail. “All-cash transactions remain high, but they are showing signs of dropping, which could be good news for traditional home buyers with financing who find they are unable to compete against cash buyers. Nearly 38% of home and condo purchases in the second quarter were from all-cash transactions, according to RealtyTrac’s data. That marks a drop from the first quarter, when all-cash transactions reached a three-year high of 42%. “However, the share of all-cash purchases varies widely in markets across the country. For example, in the Miami metro area, more than 64% of home sales were cash in the second quarter, but in Madison, Wis., that figure was only 18.5%. “Daren Blomquist, vice president at RealtyTrac, explained to 24/7 Wall St. that some of the highest number of cash sales are occurring in recovering markets that have the highest activity of institutional investors. Also, all-cash sales tend to be highest in areas with still-elevated levels of foreclosures and short sales. Blomquist further notes that all-cash sales are higher for both low-end and luxury properties. 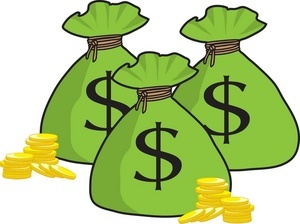 Cash sales make up two-thirds of home purchases for up to $100,000 and 45% of purchases for more than $2 million. “If you noticed a giant cell phone walking around the island recently, don’t have your bifocals checked. It’s just the latest costumed character at J.N. “Ding” Darling National Wildlife Refuge. “Happy Appy” is helping to promote the unveiling of the Discover Ding app on Sunday, Family Fun Day, Oct 19, 2014 to celebrate the 25th anniversary of “Ding” Darling Days. “A collaboration among the refuge, the “Ding” Darling Wildlife Society – Friends of the Refuge (DDWS), and app developer, Discover Nature Apps (DNA), the Discover Ding app is designed to adapt to the public’s expanding reliance on smart devices by creating a positive interaction experience that encourages smart-phone users of both Apple and Android products to immerse themselves into their natural surroundings. 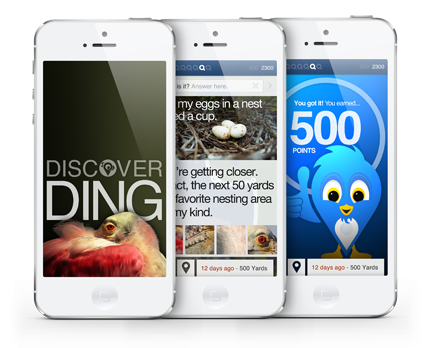 “DNA is developing similar apps for other refuges and national parks, but “Ding” Darling will be the first to go live. “”The first-of-its-kind Discover Ding app will offer the public a few new way to experience the refuge, further enhancing our effort to integrate new technology and social media into our interpretive programming,” said Paul Tritaik, refuge manager. To support DDWS and the refuge, go to dingdarlingsociety.org. The Sanibel & Captiva Islands Association of Realtors® announced this week that they are taking the next step forward in Multiple Listing Service mobility with a new App too. Within the next few weeks, the new GoMLS mobile app will be available for island Realtors® and their clients. With this app, there will be access to real-time MLS data with listing search capability by city, zip code, address, MLS number, geo-location, or by drawing a search area on a map; multiple map views including street, satellite and hybrid; driving directions; ability to schedule a viewing or contact the listing agent; share listings via text, email, Facebook® and Twitter®; and more! The speakers at our monthly Realtor® membership meeting yesterday were a panel of affiliate-member professionals in the insurance business. Chris Heidrick with Heidrick & Co.
To understand flood insurance lingo, here are a few definitions. The most hazardous flood zones are V (usually first-row beachfront properties) and A (usually, but not always properties near water.) According to FEMA (Federal Emergency Management Agency) and the National Flood Insurance Program, any building in A or Z zones are considered to be in a Special Flood Hazard Area. The bottom of the lowest horizontal structural member of the lowest floor elevation must be at or above the Base Flood Elevation (BFE). Enclosed areas below the lowest floor cannot be used for living space. The building must be elevated on piles, piers, posts or column foundation. Electrical, heating ventilation, plumbing, air conditioning equipment and other service facilities must be elevated to or above the BFE. On Sanibel and Captiva, the flood zones that apply are either the VE Zone or the AE Zone, with the AE zone being a place with potential for a 1%-annual-chance flood event. In the flood insurance business, it also is important to know if Pre-FIRM insurance rates apply. Pre-FIRM properties on Sanibel were those permitted prior to April 1979. On Captiva, Pre-FIRM properties were permitted before September 1984. What else is important for these professionals to know is whether a property will be used as a primary residence or non-primary residence. The definition of a “primary residence” for policy rating purposes is: The property must be occupied by the insured and/or the insured’s spouse more than 50% of the 365 days following the policy renewal date. If you have more specific questions about flood insurance, be sure to talk to an insurance professional. “Certain areas are close to a complete recovery, such as employment, home prices, distressed existing home sales, multifamily new construction, and rents. On the other hand, Smoke says the recovery is far from normal levels in terms of single-family new-home construction, mortgage applications and originations, household formation, and home ownership. “The most negative sales signal comes from the new-home market, where new-home sales came in at an estimated annualized rate of 412,000 in July, the second lowest rate in the last 10 months,” Smoke notes. New-home permits and starts have failed to reach a pace that economists consider healthy for the sector, which is generally above one million. Smoke points to another troubling area: Mortgage applications, which fell to the lowest level in 14 years at the beginning of September. Mortgage applications remain low despite the fact that rates are hovering near yearly lows. “Mortgage applications are considered a leading indicator for future home sales, but I believe the decline is not so much a signal of another downturn in demand but rather an indication of a seriously hobbled housing credit market,” Smoke writes. He says many buyers are being sidelined due to a very “small credit box,” where only consumers with easily documented incomes, strong credit scores, and large down payments are able to qualify for financing on a home. Priced to Sell at $30M? & Even $68M? “Daily Real Estate News” last Friday posted the following. It was sourced to a “The Wall Street Journal” article from Sept 10, 2014, titled “Luxury Homes: Priced to Sell at $30 Million”. Just after I read that article, I heard on the news about the $68M mansion just listed for sale in neighboring Naples. “Luxury homes are selling faster than last year, and the homes fetching some of the heftiest price tags are spending less time lingering on the market, according to new data from Realtor.com®. An uptick in the stock market and improving economy may be helping to boost the luxury market in recent months. “The High-End Market is Booming: For homes listed less than $1 million, the median age of listings ranged from 80 days to a median of 180 days for homes just under $30 million, according to Realtor.com®. But for homes above $30 million, the median time to market dropped to 139 days. 5 new listings: Mariner Pointe #951 1/1 $449K, Nutmeg Village #107 2/2 $659.9K, Sandalfoot #5A3 2/2 $849K, Kings Crown #307 3/2 $925K, Island Beach Club #P6D 2/2 $990K (our listing). 2 price changes: Sundial #I103 1/1 now $345K, Sunset South #9D 2/2 now $425K. 5 new sales: Sundial #D207 1/1 listed for $239K, Kimball Lodge #304 2/2 listed for $499K, Pointe Santo #E22 2/2 listed for $749K, Nutmeg Village #308 2/2 listed for $769K, Pointe Santo #D45 2/2 listed for $799K (our listing). 6 closed sales: Dugger’s Tropical Cottages #5 1/1 $283.25K, Sundial #G407 1/1 $325K, Spanish Cay #A4 2/2 $325K (our listing), Loggerhead Cay #583 2/2 $510K, Sandpiper Beach #302 2/2 $590K, Shell Island Beach Club #5A 2/2 $597K. 4 price changes: 1825 Ardsley Way 3/2 now $538K, 732 Durion Ct 3/2 now $749K, 1777 Serenity Ln 5/4.5 now $759K, 501 Sea Walk Ct 3/2 now $889K. 1 new sale: 419 Lighthouse Way 4/3 listed for $849.9K. 5 closed sales: 1364 Jamaica Dr 2/2 $470K, 620 Hideaway Ct 3/2.5 $570K, 4500 Waters Edge Ln 2/2 $769K (our buyer), 676 Anchor Dr 3/3 $887K, 466 Sea Oats Dr 4/3.5 $937.5K. 3 price changes: 1246 Sand Castle Rd now $225K, 6411 Pine Ave now $345K, 1048 Fish Crow Rd now $415K. 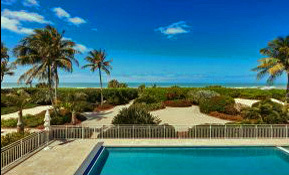 1 new listing: 0 on Captiva-Village Area 4/4 $1.799M. 1 closed sale: 16682 Captiva Dr 10/12.5 $8.48M (our buyer). This entry was posted in Captiva real estate, Florida property, Florida real estate, Real estate, Sanibel Island, Sanibel real estate, SanibelSusan, SanibelSusan's Blog and tagged Cash buyers, Discover Ding Game App, Flood Insurance, Home Ownership, Home Prices, Real Estate App by SanibelSusan. Bookmark the permalink. Our Buddha is smiling. Congratulations to the Team!